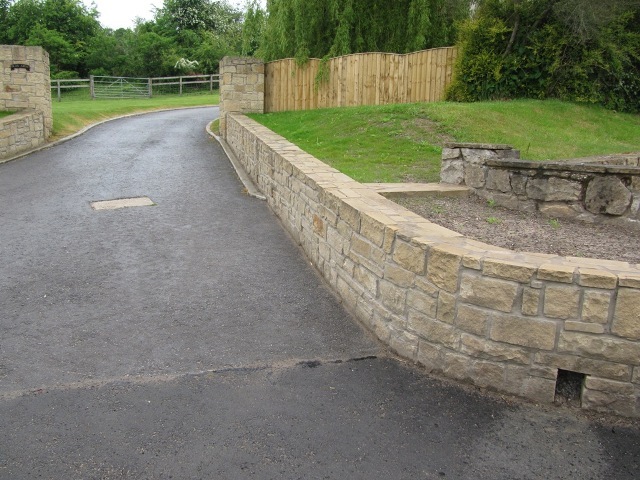 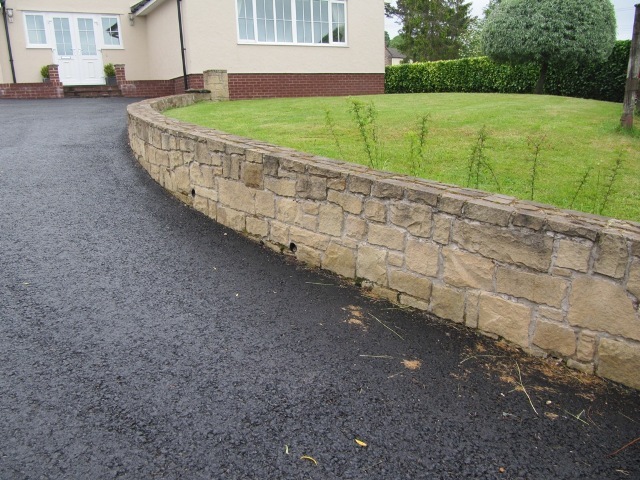 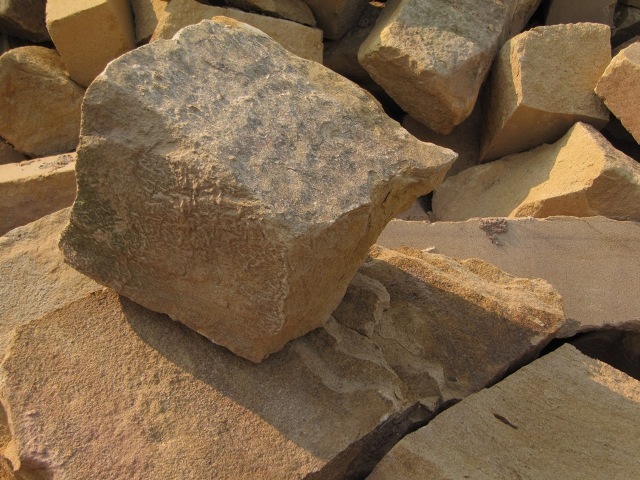 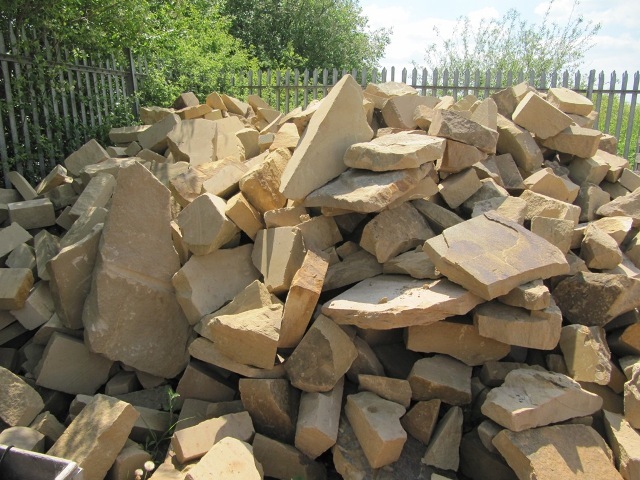 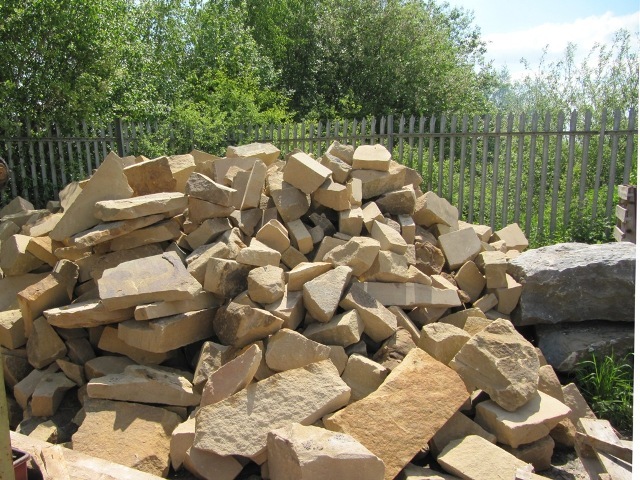 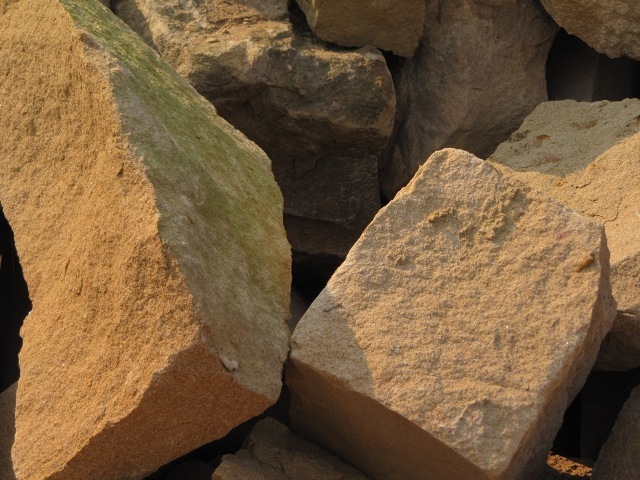 For sale: natural buff sandstone walling. 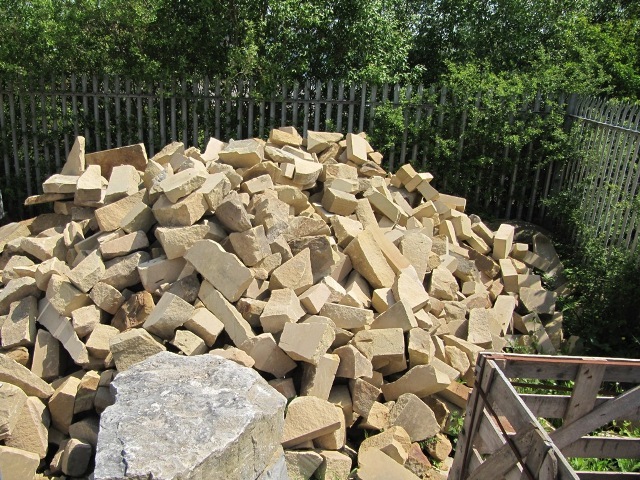 £50+ VAT per ton (1 ton builds approx 3M²). 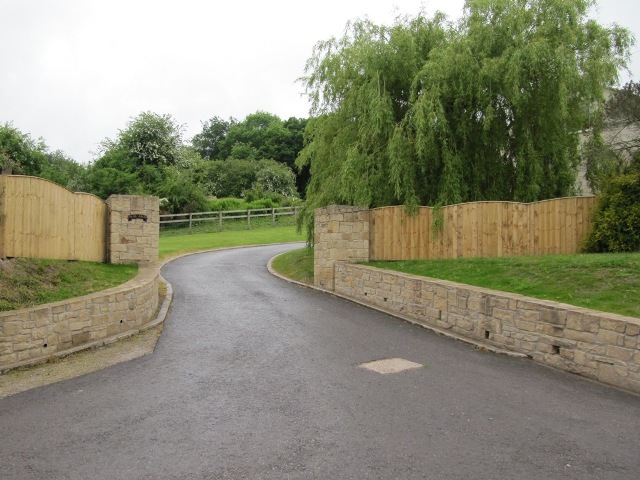 Delivery can be arranged, subject to quotation.